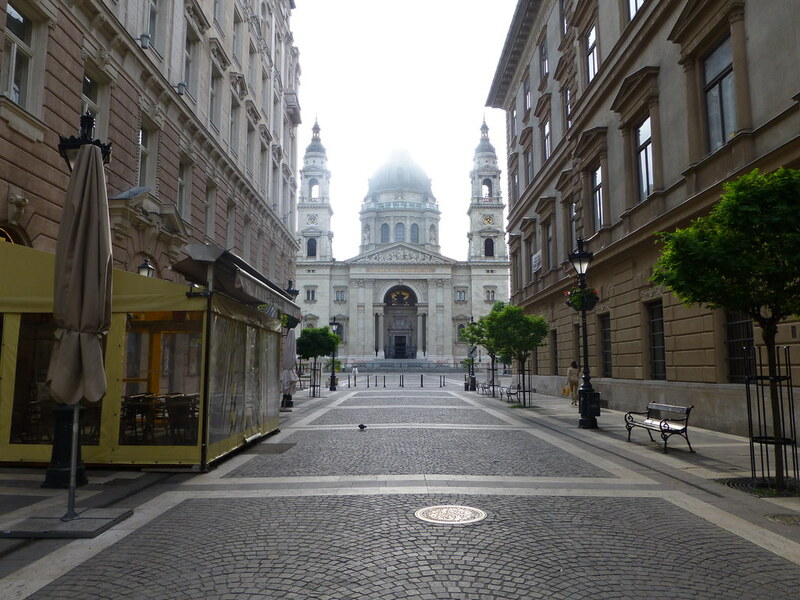 Getting ready to visit Hungary’s capital and one of the most exciting cities in Central Europe? The 23 districts of Budapest are spread across 525 square kilometres, covering both sides of the Danube river. The sheer size of the city makes it difficult to decide where to stay in Budapest. While the most famous attractions in Budapest are in the hilly heart on the west side of the Danube, there’s still plenty to see in the neighbouring districts. On the east bank of the river, for example, you’ll find the main commercial districts, geothermal baths, and the biggest city parks. No matter where you stay, you’ll experience a mix of architectural delights, small cafes, large public squares, and a nightlife that you won’t find elsewhere. Get ready for endless shopping, tours of old buildings, and deliciously creamy gelatos. Not sure where to start on your hunt for the perfect hotel? 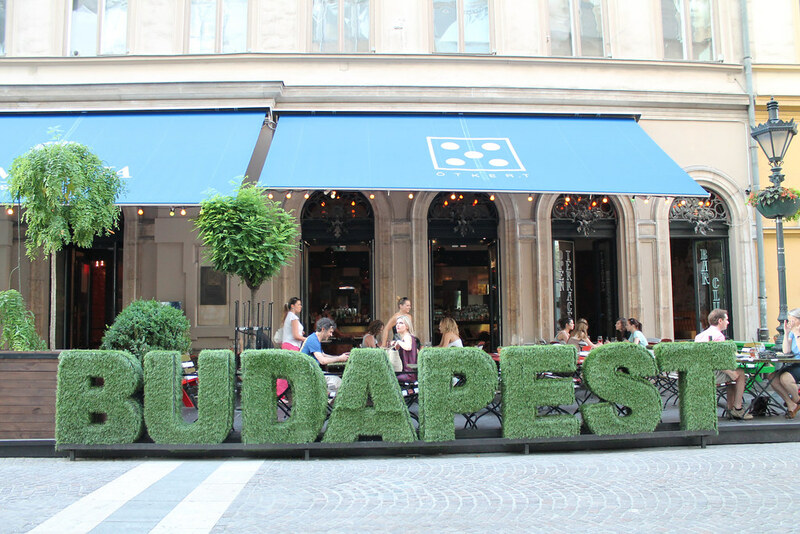 Start comparing options with this guide to the best places to stay in Budapest. Budapest is comprised of three older cities — Buda, Pest, and Obuda. The cities unified in 1873 and are now divided into 23 separate districts. While there’s always a lot of ground to cover on any Budapest itinerary, most of the cultural landmarks are in the Castle District and Inner City. These are also the areas that tend to attract the biggest crowds. Beyond these areas, the city offers a mix of modern commercial districts and residential neighbourhoods. Staying in the older parts of the city give you closer access to the attractions while the modern areas tend to feature a higher class of restaurants and shops. One thing that all these areas have in common is low prices for hotel rooms. Even in the heart of the city, you’ll get surprisingly affordable rates for double rooms. The only hard part is deciding which of these districts is the right spot to act as your home base for the trip. The Castle District is the historical part of old Buda, containing the large Buda Castle Hill. From on top of the hill, you can look east across the Danube and see the rest of the city. Besides panoramic views, the Castle District offers many opportunities to explore the history of the region. The area includes the famous Buda Castle and its complex. The castle is on top of the hill and surrounded by shops, restaurants, and hotels. You could spend an entire day exploring this small part of the district, travelling from the ancient castles to the historical churches. Beyond the historical centre, the district gives way to woods and hiking trails. It’s also just a short walk across the bridge to reach the Inner City. After getting your history fix, you can cross the river to enjoy the sights, shopping, and dining that await you in the neighbouring districts. For a historical centre of a major city, the hotels are surprisingly affordable. Most of the options are budget-friendly hotels with convenient access to the main attractions. Only one of the hotels charges a mid-range rate for luxurious accommodations with views of Castle Hill. Hotel Castle Garden: On the northwest side of Castle Hill, you’ll find this quaint boutique-style hotel. It offers cosy rooms, a bistro restaurant, and a private garden along with close access to the sites in the Castle District. Boutique Hotel Victoria Budapest: With views of the Danube and the Parliament Building, this hotel provides a convenient option for getting around the city. The Chain Bridge is less than 250 metres away, taking you into the Pest district. St. George Residence:All Suite Hotel DeLuxe: While you are just metres from the historic Buda Castle, this charming hotel helps you feel at home. Free breakfast and a three-course dinner are also included to help fuel your sightseeing adventures. Hotel Hilton Budapest: Located next to Fisherman’s Bastion and Mattias Church, you can stay right at the entrance to the Castle District. This hotel offers the best location for those who want to explore the area. Within seconds of leaving the front doors, you can be near the Castle Hill Funicular or Buda Castle. While the Castle District has several old churches and historical buildings, the main Pest district also offers a chance for you to explore important cultural landmarks. The Inner City, which also includes Leopold Town, is the fifth district of Budapest and the heart of Old Pest. 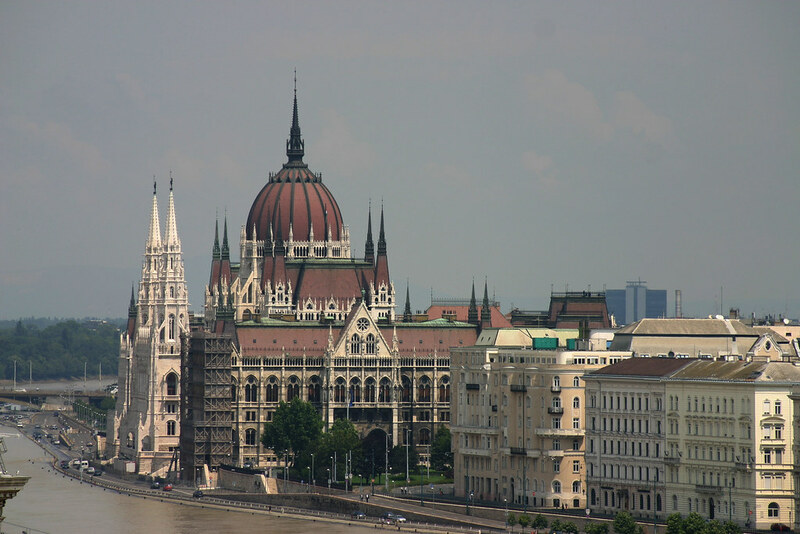 The Inner City is the home of the Hungarian Parliament Building and St. Stephen’s Basilica, two of the most significant attractions in the city. Located on the east bank of the Danube River, staying in this district places you even closer to the centre of the action. From the streets of the Inner City, you can quickly reach the Castle District or head east on Andrassy Avenue to reach the City Park in Zuglo. Keep in mind that there’s still a lot to see in the Inner City. District V is the centre of politics, commerce, and tourism in Hungary. While the entire district is often called the Inner City (Belvaros), it technically includes neighbouring Leopold Town, where you’ll find the Hungary’s Parliament. Most of the hotels skirt the borders of the district but are still a short walk from the Danube and the historic buildings found along the banks. These are also some of the best hotels in Budapest, catering to foreign diplomats and business travellers. Marmara Hotel Budapest: Staying in this hotel is similar to travelling to the Far East, thanks to the Oriental-themed furnishings and décor. It’s a budget hotel with smaller rooms and views of an inner courtyard. While it’s not that impressive, it’s just north of the main attractions, offering an affordable way to check out the sights. Hotel Parliament: In stark contrast from the previous option, this hotel has a grand façade that highlights typical Hungarian architectural flourishes. Located a few blocks east of the Parliament Building, you can easily walk to the river, nearby public park, or the designer shops on Andrassy Avenue. Hotel President: With its own café and close location to the public park and St. Stephen’s Basilica, this is one of the most popular options. Due to the budget prices, this mid-range hotel also fills up quickly, requiring you to book early. District VI of Budapest is better known as Theresa Town or Terézváros. It’s just east of the Inner City and Leopold Town, placing you further from the Castle District but within easy travelling distance. It’s also closer to Zuglo and the popular Budapest City Park. Theresa Town is the best destination in Budapest for high-end shopping and dining on the main boulevard. 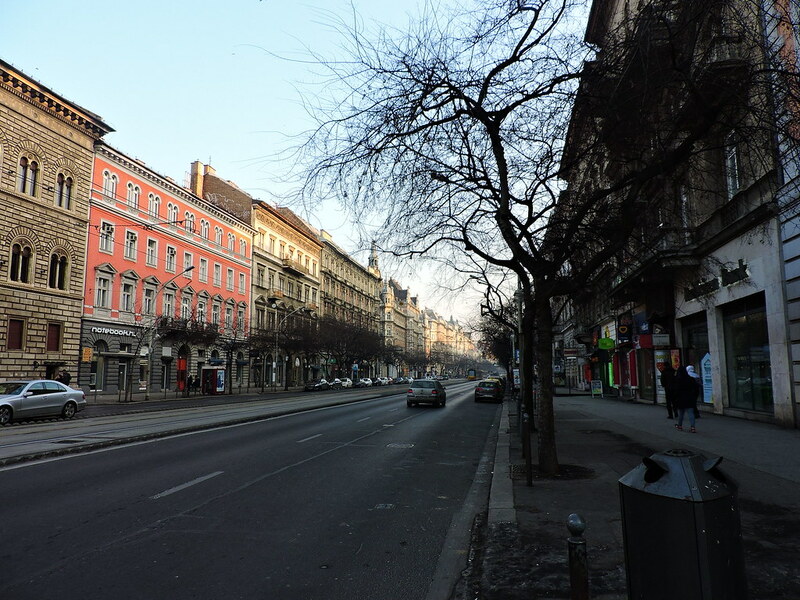 Andrassy Avenue stretches through the centre of the district, flanked by historic buildings. In front of these structures are rows of shops, cafes, and restaurants. Unlike other parts of the city, the shops and restaurants on Andrassy Avenue are often five-star affairs. You can shop designer brands such as Gucci and eat authentic regional dishes prepared by culinary experts. Theresa Town was once an affluent area and is now mostly middle class. It’s grown to become one of the most densely populated parts of the city and is famous for its nightlife. District VI is a dense urban area and home to a large part of the city’s population. While you’ll still find high-end shopping and dining on the main boulevard, the hotels are often the cheapest in the city. Mamaison Hotel Andrassy Budapest: Located on Andrassy Avenue near Budapest City Park, staying here ensures that you don’t need to travel far to go shopping or find a restaurant. Some of the rooms provide views of the avenue, allowing you to watch people come and go from the comfort of your hotel balcony. Mamaison Residence Izabella Budapest: On the opposite end of Andrassy Avenue, this hotel puts you closer to the Inner City. The comfortable décor and central courtyard help you relax after a long day of exploring the nearby attractions. Benczur Hotel: If you plan on staying more than a few days in Budapest, this hotel offers the best value. It’s a few minutes walk from Oktogon Square on Andrassy Avenue but far enough away from the boulevard to offer peace and quiet. Six Inn Budapest: A couple of blocks away from Andrassy Avenue, this budget hotel offers some of the lowest prices. The hotel has its own garden, hot tub, and sauna although they’re only available for an extra fee. Luckily, it’s just 15 minutes from the geothermal baths at the park. Zuglo is the 14th district of Budapest and considered one of the safest areas of the city. It’s become slightly more affluent, attracting citizens to its suburban-style neighbourhoods. With a mostly middle-class and upper-class population, the area also has many modern shopping malls and quality family restaurants. Just keep in mind that it’s about an hour walk to the Danube River, placing you further from the historic and cultural landmarks of the city. 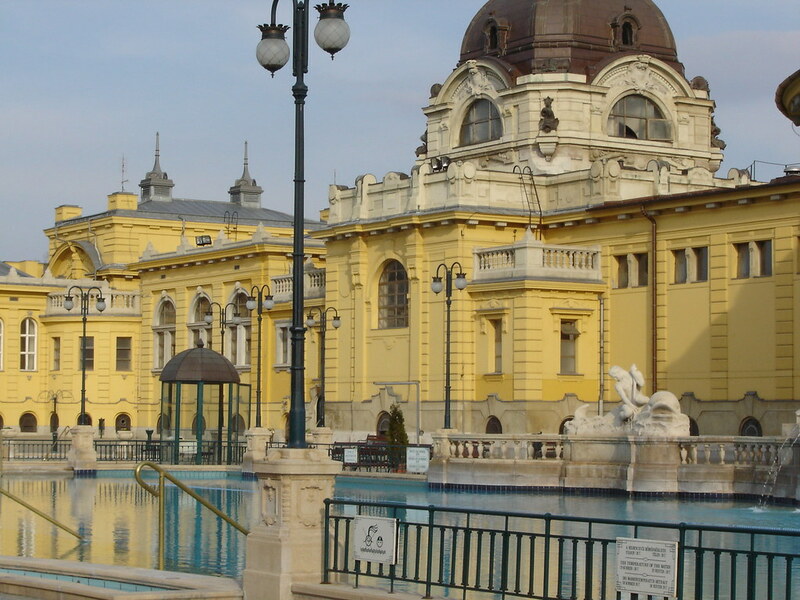 Instead of immersing yourself in history, you’ll can dip into the geothermal baths, including numerous baths located in Budapest City Park. The park is at the eastern end of Andrassy Avenue and has enough attractions to keep you coming back for days. Besides the hot and relaxing geothermal bathhouses, the park has a large castle, several museums, and kilometres of winding paths surrounded by forest. There isn’t much else beyond the park, but you can always head west to visit the other districts. There are fewer options for accommodations in Zuglo as it’s mostly a residential area with commercial shopping strips around the outskirts. There are a couple of options right outside the park and a few on the other side of the main highway that separates the older parts of Pest from the modern districts. Mirage Medic Hotel: The perfect spot to start your exploration of the district, this hotel is right next to Heroes’ Square. The square is the entrance to the park and borders the eastern edge of Theresa Town and Andrassy Avenue, offering access to the designer shops on the boulevard. Ibis Budapest Heroes Square: While it’s named after the square at the park entrance, this hotel is a couple of blocks to the northwest. The interior features eclectic furnishings, giving it a unique atmosphere. Some of the rooms even overlook the zoo. Szonyi Garden Hotel Pest: This is not the best location but it is practical. You can almost always find a vacancy at this three-star hotel located near the train tracks. The hotel has its own restaurant, serving a variety of international cuisine and desserts. Lion’s Garden Hotel: Get away from the crowds during your stay at this mid-range hotel. It’s a few blocks south of the park but still west of the highway. While the hotel was recently renovated, it looks as if it was designed in the 1970s. It’s an affordable choice and about 1.5 kilometres from Andrassy Avenue.